When Julio Urias elected to have cosmetic surgery to, for lack of a better term, “fix” his left eye, it was a surprise to many. Now that he’s back pitching in the minors, I’m wondering what the nearly 2-month break is going to do not just for his chances of pitching in the majors this year, but his overall development. There’s no doubt the procedure helped. I’ve said this time and time again: If the eye was inhibiting him while on the mound or off-the-field, then I’m glad he had the procedure. If not, then I’m not sure why this had to be done now, seeing as it has never interfered with his pitching. I get it. He’s 18 (19 next month) and there’s no reason to really push him that hard. But he was projected to throw 100-120 innings this season. To date, he’s at 40 2/3 innings with about six weeks left in the minor-league season. He hasn’t yet made it back to Double-A Tulsa and time is running out to build up his stamina. His career-high in innings is 87 2/3, which he reached last year. He could (and should) get some work in the instructional league in September and the Arizona Fall League in October and November. That would be best for his development, but it still doesn’t compare to the rigors of a full starting schedule. He could also — in theory — be recalled to be reliever out of the bullpen for the Dodgers, ala David Price for the Rays back in 2008. 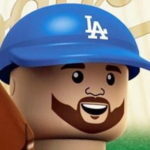 While some signs appear to be leading that direction, I’m still skeptical the Dodgers would throw him into that situation at 19, coming off surgery and without pinpoint command. It just doesn’t seem like a mutually beneficial situation. The Dodgers aren’t or weren’t expecting him to be a realistic rotation option for 2016, but this elective surgery could very well push his timeline back to 2017 — to be a starting pitcher, at least. I’m of the opinion that the Dodgers might take the Johan Santana route with Urias. Santana debuted with the Twins as a 21-year-old and appeared in 30 games. Only five of them were starts, and he logged 86 innings. The next year, those numbers were 14, four and 43 2/3, respectively. And they weren’t good innings (5.90 ERA, 5.13 FIP, 1.71 WHIP, 10.6 H/9, 4.9 BB/9). However, the next two years — still in the part-time starter/long reliever role — were much more successful: 133 IP average, 3.04 ERA, 3.00 FIP, 1.15 WHIP, 7.1 H/9, 10.3 K/9. In his first four seasons, Santana averaged 99 innings per season and was able to gradually build up his workload. Urias’ situation is a little different, but I wouldn’t be at all surprised if the Dodgers do something similar. Urias would be in his age-23 season by the time he would be ready for a full starter’s workload (Santana was 25). Santana’s next seven seasons were really good. I know there is no guarantee Urias would take to this role as well as Santana did, but with Urias’ limited number of innings in the minors — hampered even moreso by the surgery this year — it might be a necessity so he’s not pointlessly toiling in the minors. Urias is definitely physical enough (6’2, 205 pounds) to handle an MLB-level workload in the long run, but he has yet to even crack 100 innings pitched in the minors. There’s bringing a guy along cautiously, and then there’s babying him. I feel the Dodgers might be falling into the latter just a bit. Word was last fall the Dodgers were going to “turn him loose,” in 2015. That hasn’t happened, and won’t because there just isn’t enough time remaining. All this doesn’t even take into consideration the start-stop-start Urias has done this season. He was invited to MLB spring training, pitched a couple innings, pitched on the back fields, began the season as Tulsa’s No. 2 starter and averaged 5.4 innings per start in his first six games. It looked like he was well on his way to being turned loose. Now, he has to basically restart his body and process. The 2015 season for Urias is almost a throw-away season based on everything that has happened to this point. I’d be shocked if he is in the majors this season and I’d be shocked if he’s in the starting rotation full-time before 2017. But he is a phenom. I know Dodger management doesn’t want to risk too much with him, but it’s time to take the kid gloves off and actually turn him loose. I’m not the one getting paid hundreds of thousands and millions of dollars to manage Urias and the farm system. I recognize Kapler and Co., have a plan in terms of development. But as a fan and prospect fan, I want to see these guys — especially elite prospects — challenged and pushed. Urias isn’t getting much of a challenge from minor-league hitters. His biggest challenger is himself in the form of his command and the nuances of pitching (which he already has down really well). Of course, this could all be moot if he’s traded by 1 p.m. next Friday. He probably won’t be, but you never know.